Elliott Wave Principle are used to predict the financial market by large number of traders. Considering that Elliott Wave can provide quite a lot of benefits for traders, the methodology is often poorly documented for starters. When the Elliott Wave theory is properly used, you can improve the chance of winning for your trading. In this tutorial, we will show you the simplest way to make this powerful Elliott Wave to become your friend. Here are few steps to spot Wave 1, 2, 3, 4 pattern with our Elliott Wave Trend for starters. After you have practice this steps, you can apply the same principle to spot Wave 3 or Wave 5 according to your trading preference. The steps can be divided into five. Please note that this is the very basic tutorial for starters and junior traders. 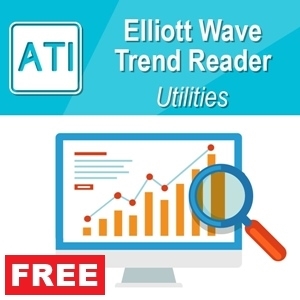 This tutorial will only cover small portion of what you can do with our Elliott Wave Trend tool. For example, for experienced traders, our Elliott Wave Trend is not limited in identifying Wave 4 only. 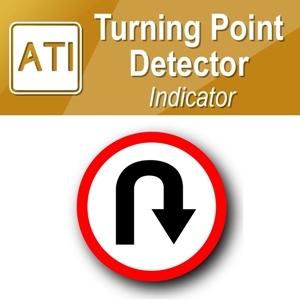 You can use them for any wave identification including both impulse wave and corrective wave. In this tutorial, we have chosen Wave 4 identification because this is relatively easier to explain. Firstly, attach our Elliott Wave Trend to your EURUSD chart. Use clean EURUSD Chart without any indicator or any other tools not to disturb our operation. When you attach Elliott Wave Trend to your EURUSD chart, make sure that you set “Show Significant Wave = true” if you are new to Elliott Wave. If you are an experienced Elliott Wave practitioner, you may not use this significant wave feature. This significant wave serves as the basic template to identify important swing high and swing low points. 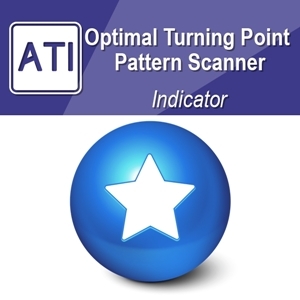 Experienced traders can normally spot these without aid of any other tools. If you are starters and junior traders, you may use this significant wave feature. When it is attached correctly, you will see your chat like this below. Now click “Wave Trend” button. 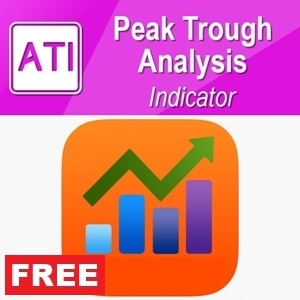 You will see the automatically drawn significant swing high and swing low in your chart. This significant wave feature serves you as a basic template to pick up some significant swing high and swing low points. This significant swing high and swing low points are not necessarily the final version of your Elliott wave count. In some case, you have to modify significant swing high and swing low points to get correct Elliott Wave. So be prepared for it. If you only want to see the Zigzag line only, then just switch off the colour of the two lines as shown below. Just set the first and second colour to none in the indicator colour-setting tab. Then press “Wave Trend” button again. Then you will see the zigzag line only without the trend line. Now you can see the significant swing high and swing low points without the trend line any more. This might look much easier for starter to read the market. To spot Wave 4, you need to identify swing high and swing low look like this below. Firstly, look for this Wave 1, 2, 3, 4 pattern from the significant swing high and swing low points in your chart. 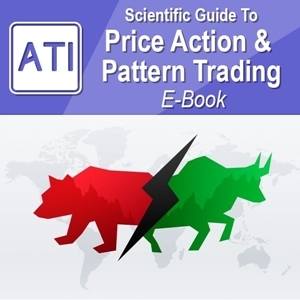 You can find both “bullish Wave 1, 2, 3, 4 pattern” or “bearish Wave 1, 2, 3, 4 pattern”. Sure, this might be easy task to the experienced traders, but this might be not easy task for starter. It is understandable. Please take your time on learning this. I can tell this is definitely worth to practice and many experienced traders will tell the same to you. Simply speaking all you have to do is to find some five zigzag points in your chart, which look like the screenshot below. 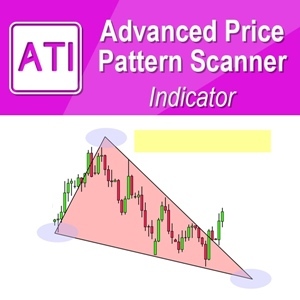 Visually scan through your chart if you have something similar like pattern above. For an example, we have found something similar on our daily EURUSD chart. We have drawn rectangle around this potential Wave 1, 2, 3, 4 pattern for you. Now here is exciting bit. We need to check if this is the correct Wave 1, 2, 3, 4 pattern with high probability setup. Let us use the functionality of our Elliott Wave trend to do so. To have the detailed analysis of Wave 1, 2, 3, 4 pattern, we need to label it first. To do so, firstly press “Impulse” button. When this impulse button is pressed, you can start to label impulse wave on our swing high and swing low points. Literarily you can label wave 1, 2, 3, 4 in your chart. 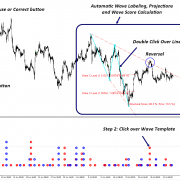 While the “impulse” button is on, double click will label in your chart aquatically for your selected wave cycle. In our case, let us just use the default wave cycle, minor for our job. For the information of starters, impulse wave is trend wave, which is preferred to trade with. Corrective wave is the counter trend wave. Counter trend wave is normally more difficult to trade but you can still trade if you wish. To start to label, just double click on your chart at each peak above the swing high and swing low points. Soon you will see the labels in your chart like this. Since you have labelled on your chart, you may not need to see significant wave lines any more. To remove them from your chart, just press “Wave Trend” button once more. When the labelling is done, press “Draw Line” button and press “Wave Trend” button to remove the template Zigzag lines. 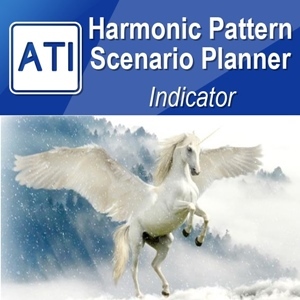 After you have drawn the isolated Wave 1, 2, 3, 4 pattern, the pattern may be not drawn correctly in your chart. This is because your label is slightly off from each peak. This can be simply corrected. Double click on each label and move them to right location above peak. After that press “Draw Line” button again. When you analyse Elliott Wave with our Elliott Wave Trend tool, you may have to do this quite often. Now many part of your job is done. It is time to check if your analysis is correct. To do so, double click on the Wave 1 Line. When you double click wave line 1, you will see some important information. The rectangle box show the correct location of wave 2 and wave 4. For example, the Wave 2 must stay below 1.16159 limit. In our case, yes, our wave 2 is stay below 1.16159. The wave 4 must stay below 1.09113. If these two conditions are meet then your wave 1, 2, 3, 4 are correct up to some point. Let us do further analysis. To remove the information, simply double click on the Wave 1 line. Then they will disappear from your chart. Now double click on Wave 2 line to see new information. Ok, when you double click on Wave 2 line, Elliott Wave Trend will show you another piece of information. It will show you some ideal location for your wave 2. In our case, our Wave 2 is very close to the ideal retracement of 0.618 of Wave 1. This is good news. At the same time, the base channel will be automatically drawn for your convenience. Typically, Wave 3 of the bearish Wave 1, 2, 3, 4 pattern must stay below the lower base channel. In our case, wave 3 is definitely below our lower base channel. When you have finished to study Wave 2 line, then we can move on to the next. Just double click on Wave 2 line to remove all the information from your chart. Then double click on Wave 3 line. When you double click on Wave 3 line, now Elliott Wave Trend will deliver another piece of information. Firstly, it will show some ideal location for Wave3. It will draw acceleration channel for your convenience too. Typically, Wave 4 will stay below the upper acceleration channel. We can’t show the ideal level of wave 3 at 1.618 of Wave 1 in our daily chart because the level 1.618 is outside our chart box. However, we can just change our daily chart to weekly chart to see 1.618 level. Screenshot below shows the 1.618 level of Wave 3 at weekly chart since daily chart does not show them. As we can see, the 1.618 level is at 1.02261. In fact, our wave 3 level is slightly above this level. However, our Wave 3 level is more close to 1.618 level than 1.000 level. Now if you just double click on Wave 3 level then you can remove all this information. We can move on to next. If you have switched to weekly chart, then switch back to daily chart again. When you double click on Wave 4 line, Elliott Wave Trend will show you ideal location of Wave 4. In our case, our wave 4 is very close to 0.5 retracement of Wave 3. Terminating channel might be used to locate future Wave 5 level. In our own opinion, it is true that price will drop down since wave 4. However, wave 5 might be landing on terminating channel or might not. Use them for your reference guide only. 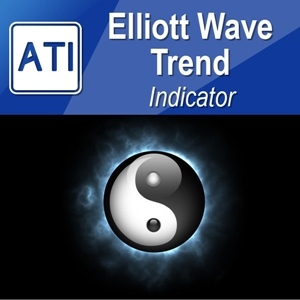 To use Elliott Wave correctly for your trading, you must identify invalidation level for your setup. Since we are identifying Wave 1, 2, 3, 4 pattern. We should identify the invalidation level for Wave 4. The most important invalidation level for Wave 4 is 1.09113 in our case. It is because the original Elliott Wave principle state that Wave 4 cannot overlap with Wave 1. At the same time, the upper acceleration channel act as quite strong resistance level to watch out. If our prediction is correct, then Wave 5 will go down at least the size of Wave 1. Often Wave 5 moves more than the size of Wave 1.